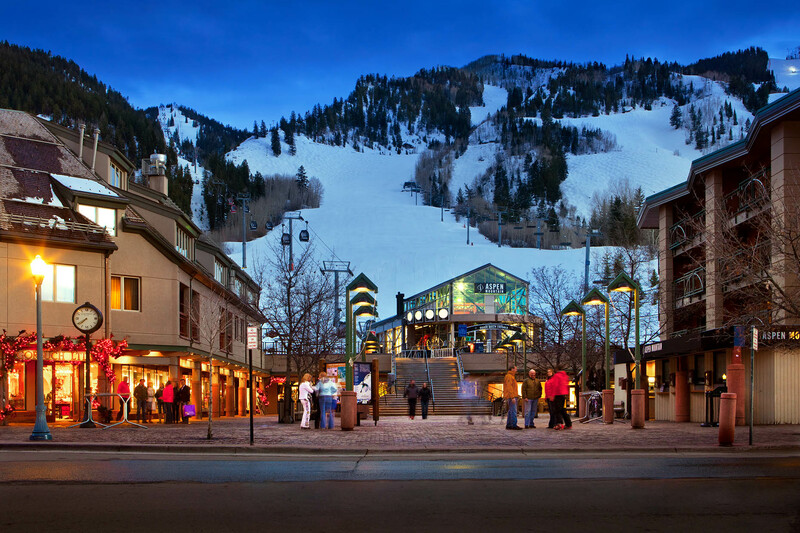 Shoppers, Gondola Plaza at dusk, winter, CCY architects, Aspen, Colorado. ©Robert Alan Millman. All rights reserved.